ON THE GO OC - Things to do with your family. 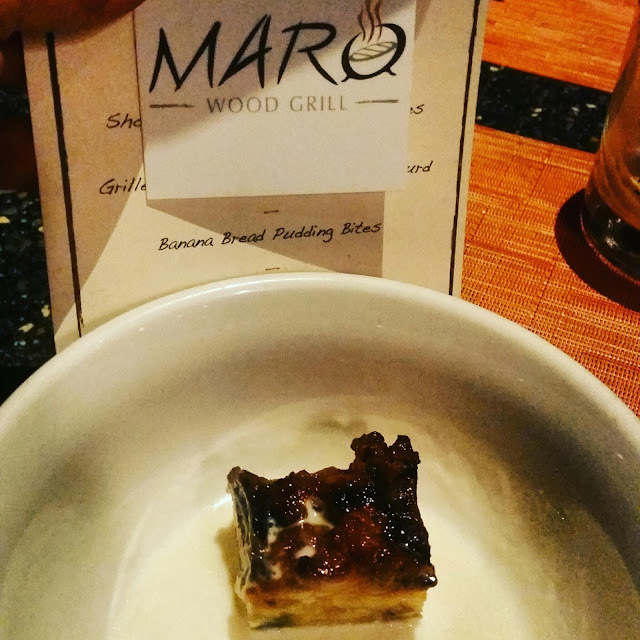 : Maro Wood Grill, Date Night Heaven! 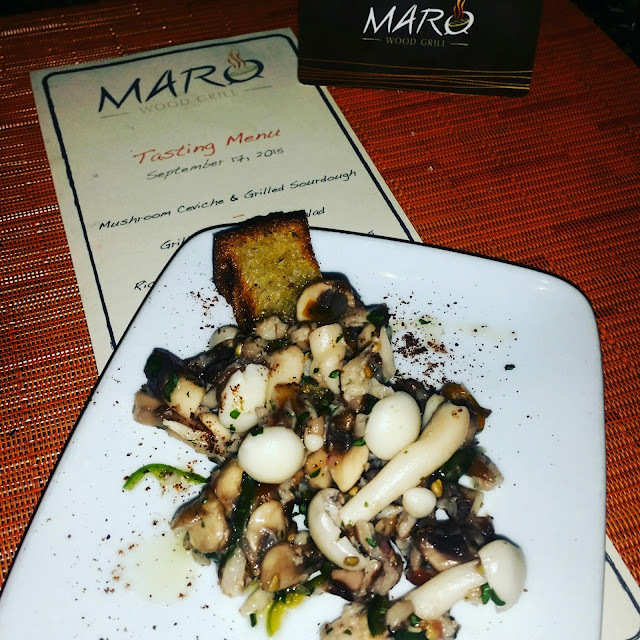 Maro Wood Grill, Date Night Heaven! Date night bliss is 20 mins away and feet from Laguna Beach sand. 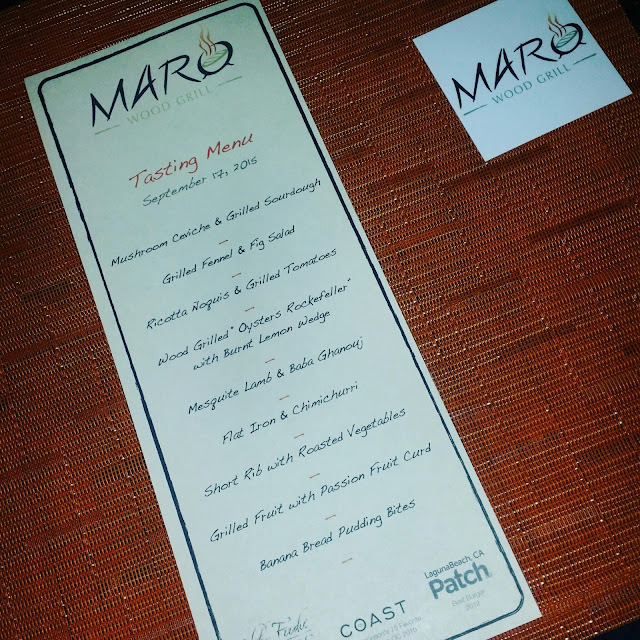 Last week I was invited to a social dine up at Maro Wood Grill and boy was it more than just a dinner. 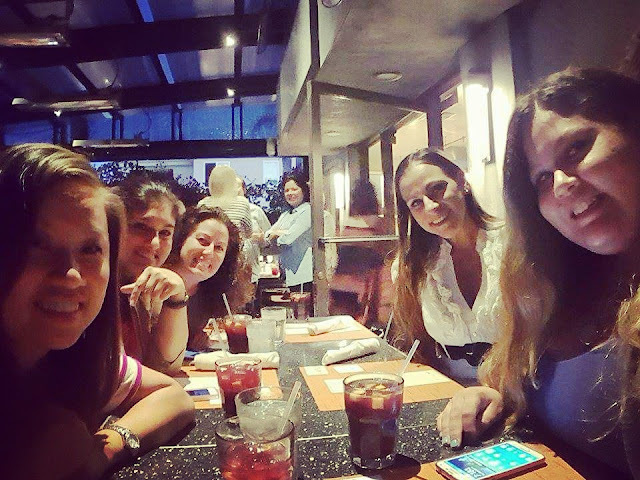 I am always grateful to see wonderful people, it is a foodies dream to eat and chat away the evening when it's held at a place that is not only perfectly located near the beach but the Dining leaves you craving more from the moment you finish each plate. Before I break down the amazing eats we were given by the amazing Chef Deb, I have to say that I already have two other couples that will join the hubs and I on a date night very soon. Our tasting menu was making me salivate just reading it over. Before our tasting even started we were given appetizers of empinadas, woodfired edemame and green beans. To say I have had edemame like that would be a lie...amazing. First up, a delightful and light, Mushroom Ceviche & Grilled Sourdough followed by a Grilled Fennel & Fig Salad. Both worked so well back to back with tang from the Ceviche to the sweetness of the fig. So good. I was so delighted to see that our waiter put down a very special treat next. 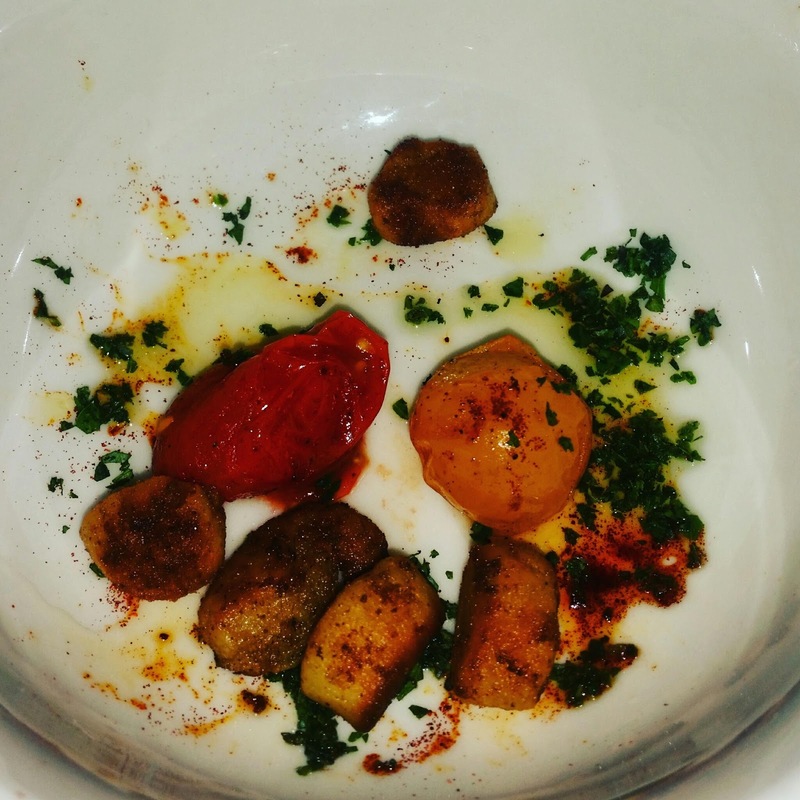 The famous Ricotta Noquis & Grilled Tomatoes that Maro Wood Grill only serves on the 29th of each month and places a $1 on the bottom of dish in the traditional Argentinian way. How beautiful is it that they do this! I love cultural traditions. As if I was not satisfied enoigh there was one more pre main course taste... oh my Oysters Rockefeller!!!! Seriously the best I have ever had. So fresh and done perfectly. Up next was my favorite of the evening overall. Why would I say it shocked me that I loved it so much? I am probably the only Greek you will meet (aside from my Dad) that does not like Lamb. I KNOW RIGHT?! I want to really express how much I loved Chef Deb's lamb. The grill from the mesquite wood fire was just exquisite and the seasonings used reminded me of traditional Greek style as if my mother and father were cooking together in our kitchen at home. 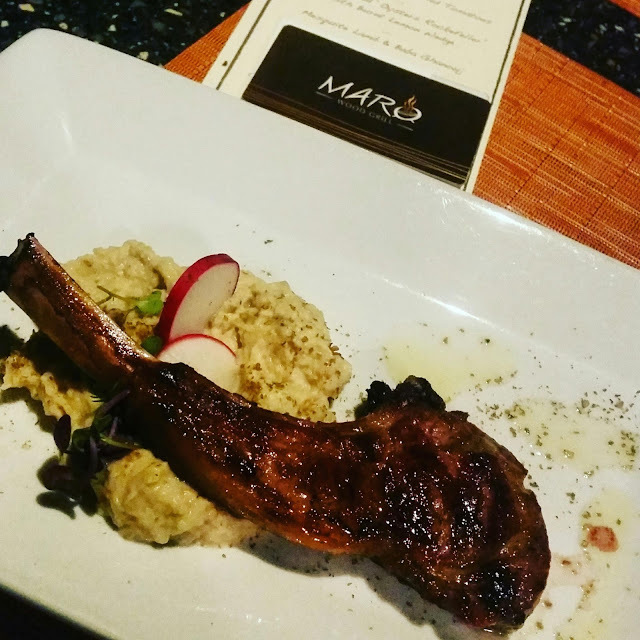 Just loved it so much I could have eaten 3 more plates of Maro Wood Grill ' s Mesquite Lamb & Baba Ghanouj, I can not wait to bring my husband and my father to try the lamb! I thought that was it but the sight of my next two tastes kept me hungry for more. A juicy Flat Iron & Chimichurri and a tender Short Rib with Roasted Vegetables were both cooked to my LOVING. They each had their own unique taste and flavors. 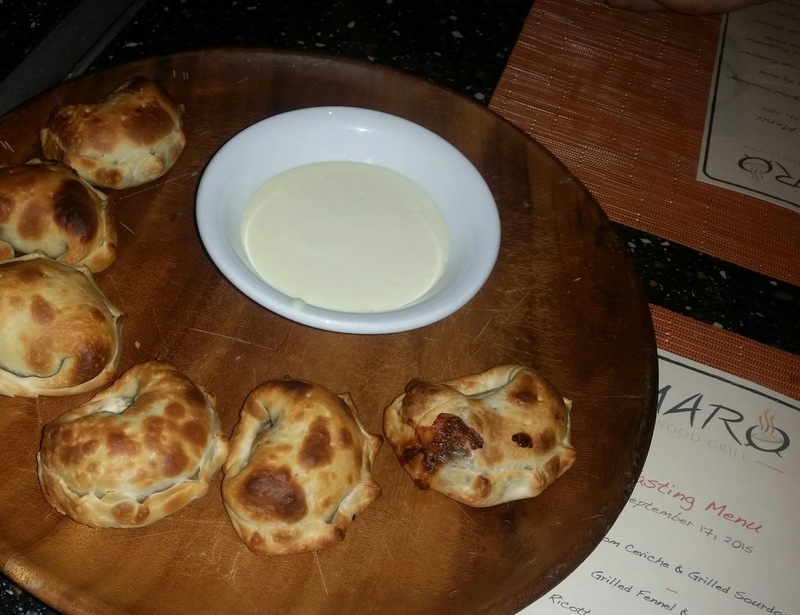 They were paired with sides that complimented their taste very well. The sweets were seriously the icing on the cake or better yet, have been voted OC's best! The golden foodie winner and my favorite Banana Bread Pudding Bites were just insane to my palette. My taste buds wanted more, much more. My nephew loves Banana Bread Pudding so I may have to get a special order just for my fav lil guy Georgie Bear asap. But wait!! Sweet, creamy, and topped off with grilled fruit, the Passion Fruit Curd was the perfect combination of sweet and tart to wash down all of these amazing eats! Wait did I mention the lamb was my favorite and I mean favorite lamb ever!? Ok, just making sure. So until I get my two Argentinian friends with their significant others down to Maro Wood Grill, I'll be dreaming of the amazing dining they offer and a walk on the sand to soak up some California sunsets! 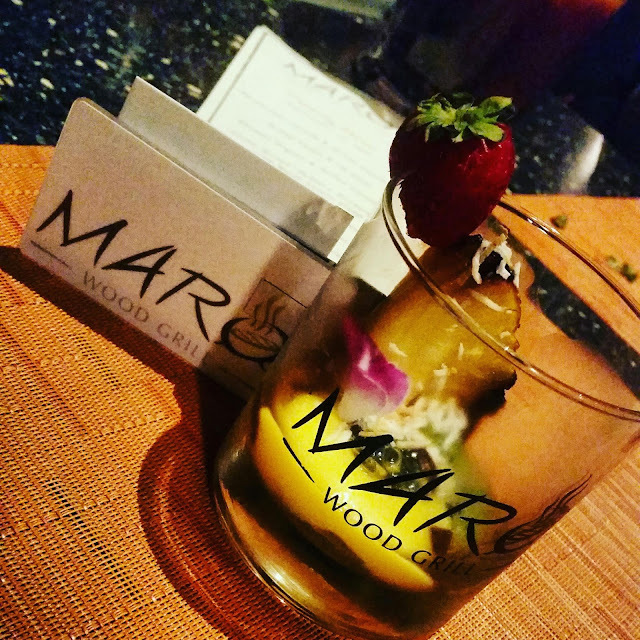 See you soon Maro Wood Grill and I just love your spunky fun personality Chef! Be proud of your Golden Foodie awards, well deserved by far girl!